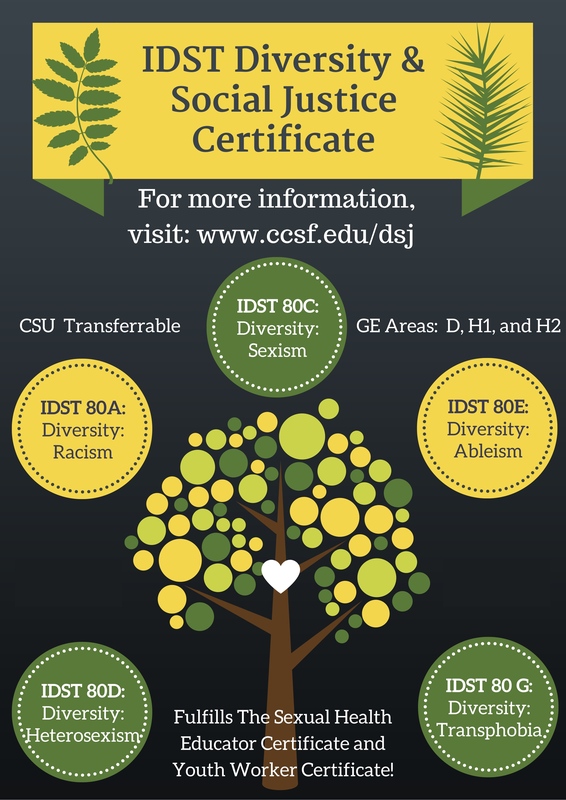 All courses are CSU transferable. Show up for Add Codes: Even if the class is full, just show up & you’ll probably get a seat. 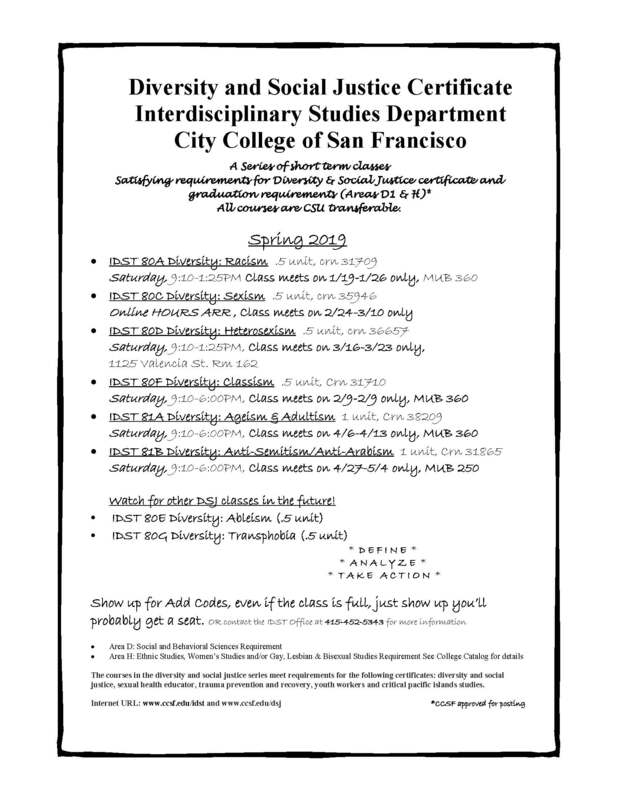 Or contact the IDST Office at 415-452-5343 for more information. 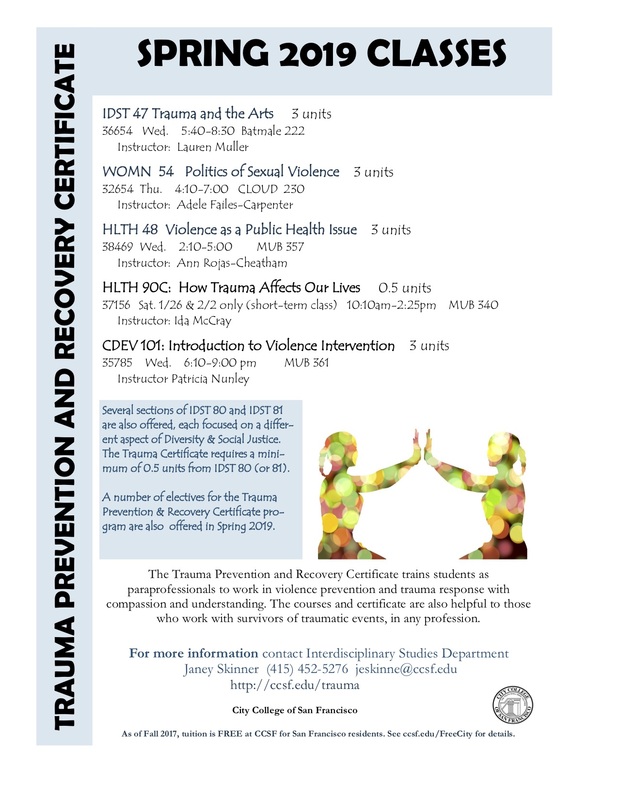 Area D: Social and Behavioral Sciences Requirement. 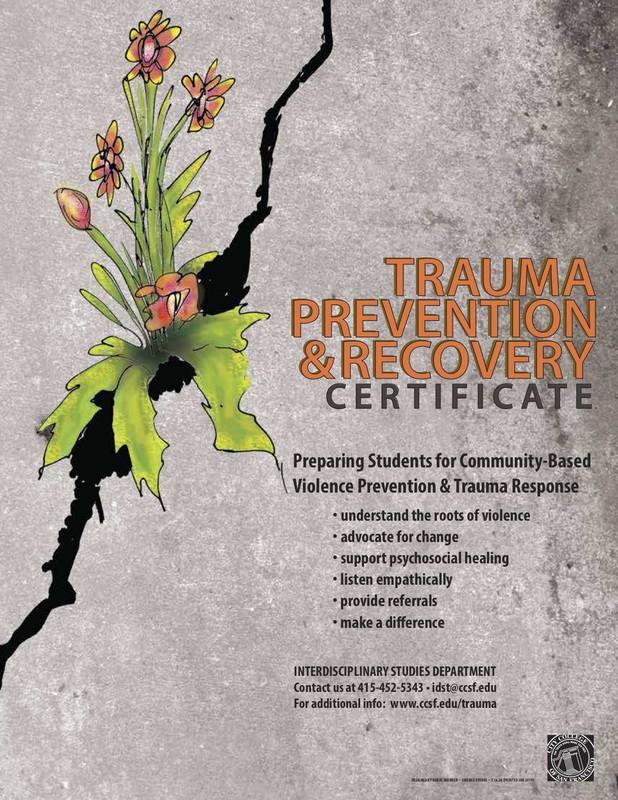 The courses in the diversity and social justice series meet requirements for the following certificates: diversity and social justice, sexual health educator, trauma prevention and recovery, youth workers and critical pacific islands studies.